Jetty is an open source Java HTTP Web Server and Java Servlet Container. Usually a web server or application server is used to serve content to people, Jetty on the other hand usually is used for machine to machine communication. Jetty is developed as an open source application under the Eclipse Foundation project. 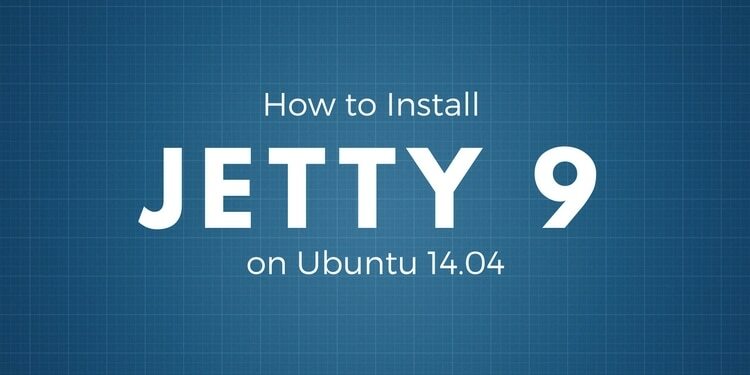 In this tutorial we'll learn how-to install Jetty 8 on Ubuntu 14.04 from scratch. This tutorial assumes you have clean installation of Ubuntu 14.04. After updating the base system to latest release, we're ready to install the prerequisite of Jetty 8. Jetty needs Java to run. We will use Oracle JDK 8 instead of OpenJDK in this tutorial. We will install JDK 8 using Webupd8 team PPA. You need to press enter to continue adding the webupd8team PPA repository. The output above has been truncated to show you only the most important parts. the -y option above will make you agree automatically with packages to be installed including dependencies. If you want to check what packages will be installed you can remove the -y option. 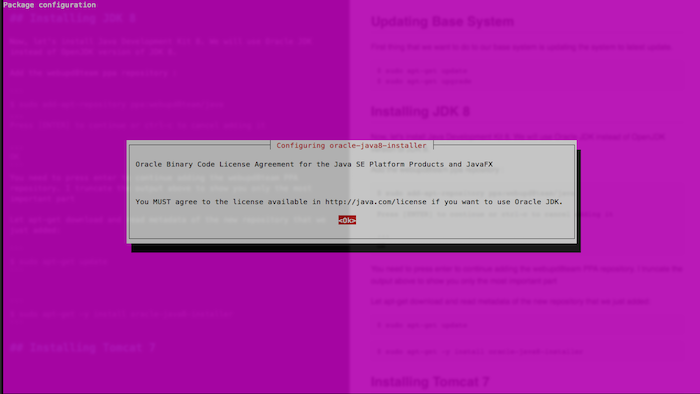 We've confirmed that we have JDK 8 installed. All the prerequisite already installed. Now we can install Jetty 8 from Repository. Jetty 8 is installed but it's not ready yet because by default it's disabled. If you try to start the service you will get a warning. * Not starting jetty - edit /etc/default/jetty8 and change NO_START to be 0 (or comment it out). If you are installing Jetty on computer that you currently use you can open http://localhost:8080. If you are installing Jetty on remote computer you are not able to access Jetty yet, for example when you access http://:8080. In this tutorial we learned how-to install Jetty 8 on Ubuntu 14.04. 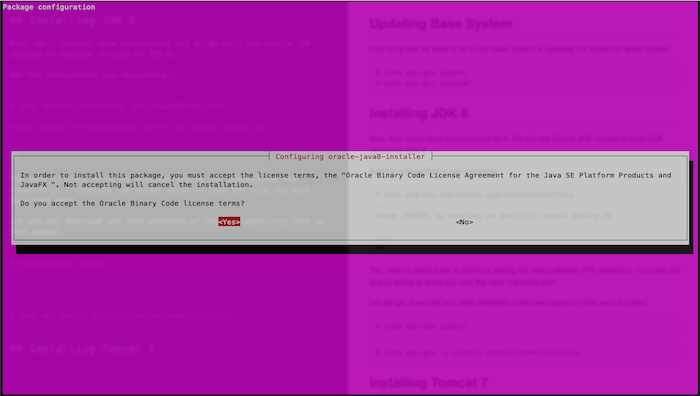 We learned how-to update the server to latest update, install JDK 8 from Oracle then install and configure Jetty 8. Now you can start deploying your Java app to Jetty. Have Fun!